Offside - Empoli. Giovanni Di Lorenzo with a pass, however Hamed Junior Traore is in offside. New attacking attempt. Gianluca Mancini - Atalanta - shot with left foot from few metres is saved by goalkeeper in the centre of the goal. Assist - Musa Barrow. Missed chance. Musa Barrow - Atalanta - shot with right foot from the left side of the box missed. Assist - Remo Freuler after corner. Corner - Atalanta. Conceded by Frederic Veseli. Corner - Atalanta. Conceded by Bartlomiej Dragowski. New attacking attempt. Josip Ilicic - Atalanta - shot with left foot from the right side of the box is saved in the top centre of the goal. Assist - Marten de Roon. Substitution - Atalanta. Roberto Piccoli for Alejandro Gómez. Francesco Caputo - Empoli - won a free kick in attack. Missed chance. Josip Ilicic - Atalanta - shot with left foot from outside the box is close, but missed. Remo Freuler - Atalanta - won a free kick in attack. New attacking attempt. Hans Hateboer - Atalanta - shot with the head from the centre of the box is saved by goalkeeper in the centre of the goal. Assist - Timothy Castagne with a cross. New attacking attempt. Alejandro Gómez - Atalanta - shot with right foot from outside the box is saved by goalkeeper in the centre of the goal. Assist - Remo Freuler. José Luis Palomino - Atalanta - won a free kick in defence. Missed chance. Giovanni Di Lorenzo - Empoli - shot with right foot from the centre of the box missed. Substitution - Atalanta. Musa Barrow for Duván Zapata. Missed chance. Alejandro Gómez - Atalanta - shot with right foot from the centre of the box goes high. Assist - Hans Hateboer. Shot blocked. Timothy Castagne - Atalanta - shot with right foot from outside the box is blocked. Substitution - Empoli. Jacob Rasmussen for Dimitris Nikolaou - injury. 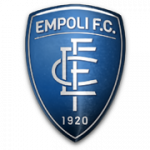 Delay in match Dimitris Nikolaou - Empoli - - injury. Corner - Atalanta. Conceded by Cristian Dell'Orco. Missed chance. Duván Zapata - Atalanta - shot with right foot from the centre of the box is high and wide to the right. Assist - Hans Hateboer with a head. Shot blocked. Timothy Castagne - Atalanta - shot with the head from the centre of the box is blocked. Assist - Hans Hateboer with a cross. Missed chance. Gianluca Mancini - Atalanta - shot with right foot from the centre of the box missed. Assist - Duván Zapata . Timothy Castagne - Atalanta - won a free kick on the left wing. Shot blocked. Alejandro Gómez - Atalanta - shot with right foot from the left side of the box is blocked. Assist - Timothy Castagne. Missed chance. Josip Ilicic - Atalanta - shot with left foot from outside the box is high and wide to the left. Assist - Duván Zapata. Shot blocked. Remo Freuler - Atalanta - shot with right foot from the centre of the box is blocked. Assist - Alejandro Gómez. Missed chance. Hans Hateboer - Atalanta - shot with the head from a diffucult position on the right is high and wide to the right. Assist - Alejandro Gómez with a cross. Missed chance. Duván Zapata - Atalanta - shot with right foot from a diffucult position on the right is close, but missed. Assist - Josip Ilicic. Shot blocked. Alejandro Gómez - Atalanta - shot with right foot from outside the box is blocked. Frederic Veseli - Empoli - receive yellow card for a foul. Alejandro Gómez - Atalanta - won a free kick in attack. Substitution - Atalanta. Timothy Castagne for Robin Gosens. Missed chance. Duván Zapata - Atalanta - with an attempt from few metres is close, but missed. Assist - Alejandro Gómez. Rade Krunic - Empoli - won a free kick on the left wing. New attacking attempt. Alejandro Gómez - Atalanta - shot with right foot from outside the box is saved in the left corner. Assist - Remo Freuler. Offside - Empoli. Hamed Junior Traore with a pass, however Francesco Caputo is in offside. Corner - Empoli. Conceded by Robin Gosens. New attacking attempt. Andrea Masiello - Atalanta - shot with right foot from the right side of the six yard box is saved in the right corner. New attacking attempt. Gianluca Mancini - Atalanta - shot with the head from the centre of the box is saved in the right corner. Assist - Alejandro Gómez. Shot blocked. Gianluca Mancini - Atalanta - header inside of six yard box - left side is blocked. Assist - Josip Ilicic with a cross. New attacking attempt. Hans Hateboer - Atalanta - shot with right foot from the right side of the box is saved by goalkeeper in the centre of the goal. Assist - Josip Ilicic. New attacking attempt. Duván Zapata - Atalanta - shot with right foot from the right side of the box is saved by goalkeeper in the centre of the goal. Assist - Josip Ilicic. Missed chance. Hans Hateboer - Atalanta - shot with right foot from the right side of the six yard box is close, but misses the top right corner. Assist - Alejandro Gómez with a cross. Missed chance. Alejandro Gómez - Atalanta - shot with right foot from the left side of the box missed. Second Half starts Atalanta 0, Empoli 0. 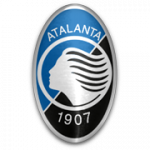 First Half ended - Atalanta 0, Empoli 0. Shot blocked. Josip Ilicic - Atalanta - shot with left foot from outside the box is blocked. Ismael Bennacer - Empoli - receive yellow card for a foul. Robin Gosens - Atalanta - won a free kick in attack. Ismael Bennacer - Empoli - won a free kick in defence. Missed chance. Josip Ilicic - Atalanta - shot with left foot from the centre of the box is high and wide to the left. Assist - Alejandro Gómez. Rade Krunic - Empoli - won a free kick in defence. Missed chance. Duván Zapata - Atalanta - shot with the head from the centre of the box goes high. Assist - Marten de Roon with a cross after corner. 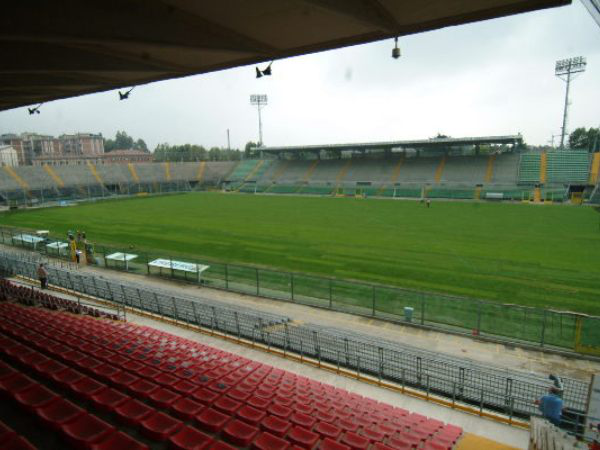 Corner - Atalanta. Conceded by Ismael Bennacer. Substitution - Empoli. Dimitri Oberlin for Diego Farias - injury. Delay in match Diego Farias - Empoli - - injury. Offside - Empoli. Dimitris Nikolaou with a pass, however Francesco Caputo is in offside. Shot blocked. Josip Ilicic - Atalanta - shot with left foot from outside the box is blocked. Assist - Gianluca Mancini. Alejandro Gómez - Atalanta - won a free kick in defence. Missed chance. Gianluca Mancini - Atalanta - shot with the head from the centre of the box missed. Assist - Alejandro Gómez with a cross after corner. Corner - Atalanta. Conceded by Hamed Junior Traore. Robin Gosens - Atalanta - won a free kick in defence. Offside - Atalanta. Josip Ilicic with a pass, however Andrea Masiello is in offside. Cristian Dell'Orco - Empoli - receive yellow card for a foul. Josip Ilicic - Atalanta - won a free kick in attack. New attacking attempt. Alejandro Gómez - Atalanta - shot with left foot from outside the box is saved in the left corner. Assist - Josip Ilicic. New attacking attempt. Josip Ilicic - Atalanta - shot with left foot from the centre of the box is saved by goalkeeper in the centre of the goal. Assist - Marten de Roon. Shot blocked. Duván Zapata - Atalanta - shot with right foot from the centre of the box is blocked. Shot blocked. Remo Freuler - Atalanta - shot with right foot from the centre of the box is blocked. New attacking attempt. Remo Freuler - Atalanta - shot with right foot from the centre of the box is saved by goalkeeper in the centre of the goal. Assist - Josip Ilicic. Missed chance. Andrea Masiello - Atalanta - shot with the head from the centre of the box goes high. Assist - Josip Ilicic after corner. Corner - Atalanta. Conceded by Giovanni Di Lorenzo. New attacking attempt. Marten de Roon - Atalanta - shot with right foot from outside the box is saved in the left corner. Assist - Alejandro Gómez. New attacking attempt. Duván Zapata - Atalanta - shot with right foot from the centre of the box is saved by goalkeeper in the centre of the goal. Assist - Andrea Masiello. José Luis Palomino - Atalanta - receive yellow card for a foul. Diego Farias - Empoli - won a free kick in attack. Josip Ilicic - Atalanta - won a free kick on the right wing. Corner - Empoli. Conceded by Marten de Roon. Substitution - Empoli. Manuel Pasqual for Luca Antonelli - injury. Delay in match Luca Antonelli - Empoli - - injury. Missed chance. Alejandro Gómez - Atalanta - shot with left foot from outside the box is high and wide to the left. Assist - Hans Hateboer. Missed chance. Hans Hateboer - Atalanta - shot with the head from few metres is very close to the goal. Assist - Josip Ilicic. Offside - Empoli. Rade Krunic with a pass, however Luca Antonelli is in offside. Missed chance. Rade Krunic - Empoli - shot with right foot from outside the box missed to the left. New attacking attempt. Alejandro Gómez - Atalanta - shot with right foot from outside the box is saved by goalkeeper in the centre of the goal. Assist - Josip Ilicic. Corner - Empoli. Conceded by Pierluigi Gollini. New attacking attempt. Diego Farias - Empoli - shot with right foot from the left side of the box is saved in the right corner. Assist - Hamed Junior Traore.